What Are the Best Corporate Venues in London? With so many event venues to choose from, it can be difficult to find a venue that accommodates your business's unique event goals and objectives. Finding the "right" corporate event venue for your conference, networking group, or board meeting should be an absolute priority. Why? An event venue has a massive impact on the perceived value of the event and the guest experience. There's nothing worse than being crammed into a tiny conference hall, right? "Every event planner knows that where they choose to host a meeting or conference is every bit as important as the event itself," says Nicholas, contributor at Everwall. "Ask anyone who's been involved with the event industry for even a marginal amount of time, and they'll tell you as much. If you don't have a great location, then nothing else matters, right?" Your search for the perfect corporate event venue is over. Prioritize the following industry-leading, corporate event spaces. With access to the latest audio-visual technology, diverse venue options, and more, you are well-equipped to host a dazzling event that guests will absolutely love. 111 Rochester Row offers state-of-the-art event space purpose-built for conferences, small meetings, and more. A modular event space, 110 Rochester Row suits your unique needs. Moreover, a knowledgeable and accommodating team provides expert event organization and support. 110 Rochester Row is centered near major transportation portals including the National Rail Services, District, Circle, and Victoria underground. Capacity: Rippington Suite can accommodate up to 180 people standing. Nightingale Suite can accommodate up to 160 people standing. 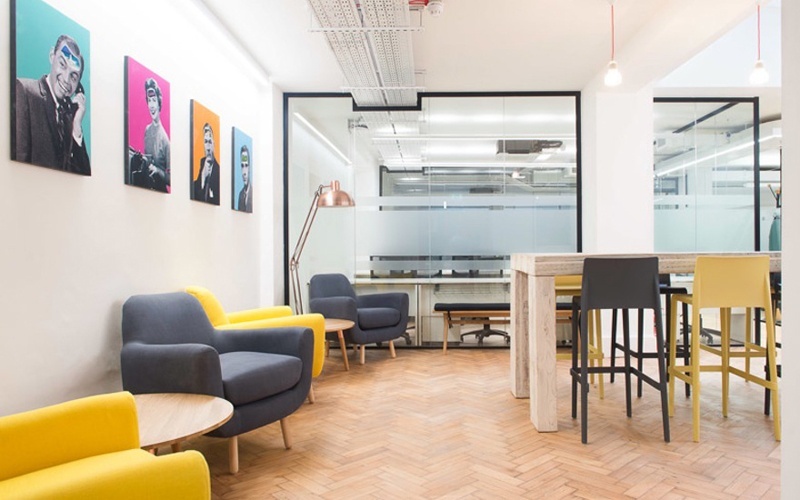 110 Rochester Row offers smaller breakout space. Audio and Visual: Enjoy access to a project screen, public announcement system, high-speed internet, wireless conference phones, flipchart, whiteboard, stage, digital signage, lectern, and more. Sea Containers Events is situated at the top of the iconic Sea Containers building on the vibrant South Bank. 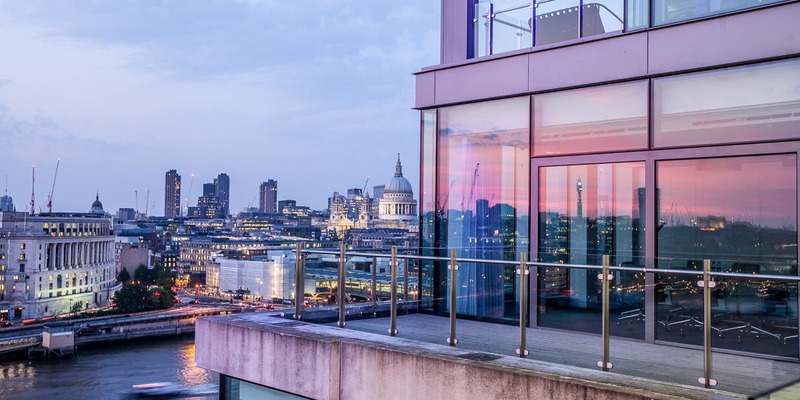 Offering more than 25,000 square feet in a newly designed meeting and event space, Sea Containers Events offers world-class space backdropped by London's expansive skyline. Choose from award-winning dishes and drinks provided by Green and Fortune, a team of dedicated and trained chefs. 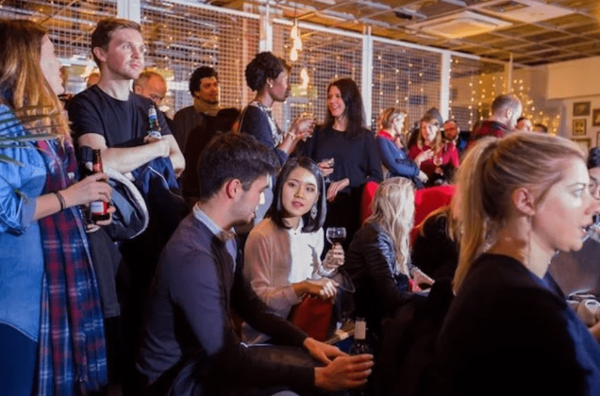 Capacity: Sea Containers Events largest event space can accommodate up to 600 guests. Smaller event spaces available for intimate meetings and gatherings. Audio and Visual: Enjoy access to projectors, touch control panels, ceiling speakers, touch control lighting, wireless microphones, conference telephones, and more. RocketSpace is centered at the heart of the city's vibrant urban core. Just steps from major public transportation hubs, RocketSpace offers unmatched convenience to event guests. Choose from a diverse range of event space options purpose-built to accommodate a variety of event types. Featuring state-of-the-art audio-visual equipment, superior event support staff, affordable rental opportunities, and more, RocketSpace exceeds guests expectations — every time. Capacity: RocketSpace's largest event space can accommodate up to 120 seating guests. Audio and Visual: Enjoy access to high-speed internet, video wall, handheld lapel and mics, colored backlights, tech support, and more. Runway East is centered at the heart of London's tech and financial districts. Starting at just £36 per hour, Runway East is an affordable event space for industry-leading corporates, startups, and more. Additionally, the space comes fully licensed with its own private bar. Runway East is the perfect venue for board meetings, networking events, presentations, and more. Capacity: The Engine Room can accommodate up to 120 seated guests. Additionally, Hangar58 can support up to 120 seated guests. Audio and Visual: Enjoy access to large screen televisions, projectors, HDMI cables, and more. The Private Room at The Ivy is a one-of-a-kind and breathtaking restaurant. Allow Executive Chef Gary Lee and his team to create a menu for your special day. Inspired by fresh and seasonal flavors, Lee crafts expert dishes and drinks for your guests. The Ivy is ideal for cocktail receptions, breakfast, lunch or dinner celebrations, networking events, and more. 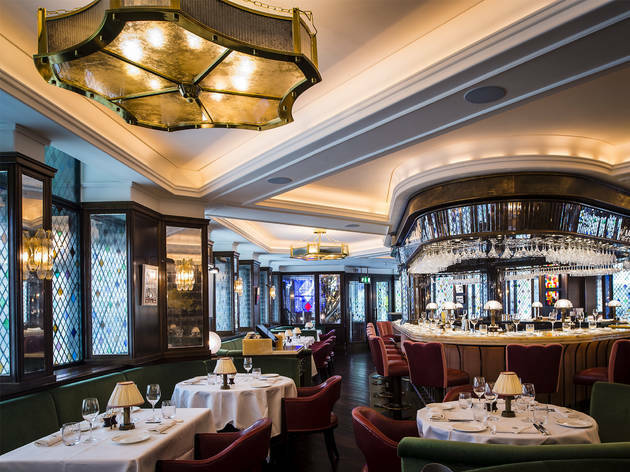 Capacity: The Ivy can accommodate up to 60 seated guests and 100 standing. Audio and Visual: Enjoy access to complementary flowers, candles, and menu cards. Additionally, live musical acts available. Capacity: Studio London can support 150 standing guests. Studio Manchester can accommodate 40 standing. Audio and Visual: Enjoy access to audio and visual equipment, private bar, event management, security, welcome service, and more. There are plenty of industry-leading corporate event venues in London. While we're not the best fit for every single occasion, when it comes to corporate events, our facilities are beautiful, well-equipped, and convenient. And the best part, we bend over backwards to support you before, during, and even after your event. 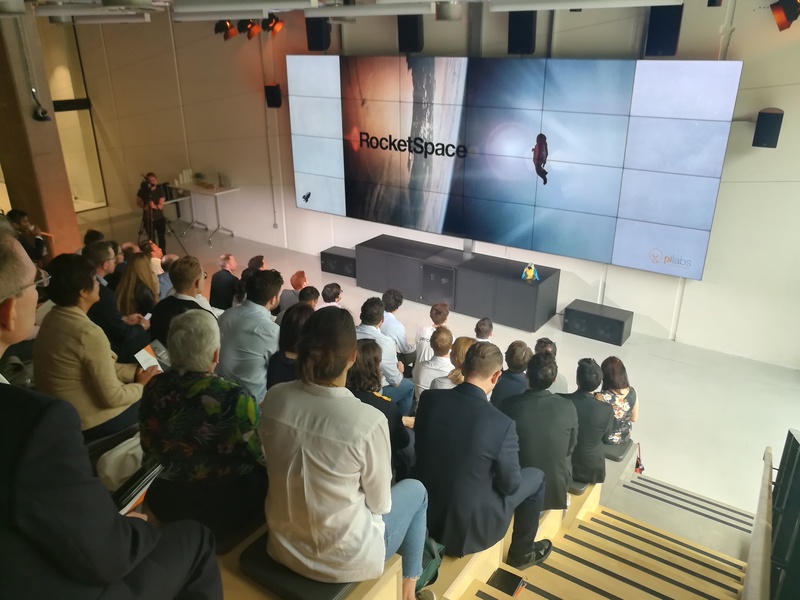 RocketSpace offers an advanced event venue featuring high-speed internet, configurable event spaces, in-house catering options, handheld lapels and mics, event security, and more! Additionally, with flexible indoor and outdoor space, RocketSpace is an ideal location for any type of event including board meetings, networking and drinks, conferences, away days, off-site visits, pitches, demo days, and product launches.